£22.95 More info & buy	Baron Henri 2013 offers cassis, toasty spice, blackberry and a touch of smoke. The palate is firm and classically styled, with well-structured tannins, lightly styled fruit and subtle spice. This wine needs half an hour in a decanter to reveal its full character. 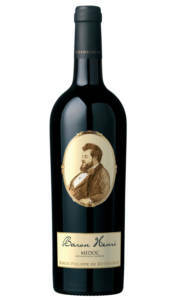 Baron Henri delivers a lighter style of claret with crunchy red fruit that can be enjoyed without food.